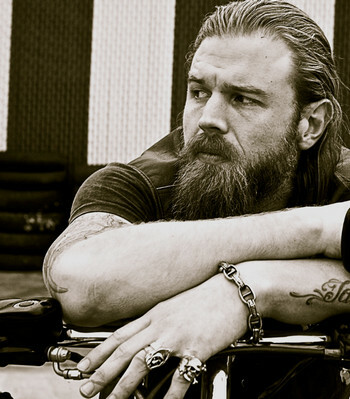 Harry ‘Opie' Winston is played by Ryan Douglas Hurst. Ryan Hurst was born June 19, 1976 and is an American actor. He previously starred as Gerry Bertier, a white linebacker, in Disney's Remember the Titans. Hurst was born in Santa Monica, California, the son of Candace Kaniecki, an acting coach, and Rick Hurst, an actor. Hurst attended Santa Monica High School. Growing up in a Hollywood family, Hurst made a very early start in the show business, having a recurring role in NBC comedy, Saved by the Bell: The New Class. Hurst also gained recognition as Allison's half-brother, Michael, in the show Medium. He also played the role of football player Lump Hudson in The Ladykillers, appeared in the movie We Were Soldiers as Sgt. Savage, and starred in the TNT show Wanted. In Saving Private Ryan, Hurst portrays a paratrooper who, because of temporary hearing loss, cannot understand Captain Miller's questions about sighting Private Ryan which forces Miller (played by Tom Hanks) to ask the questions in writing. His biggest break came FX's cult show, Sons of Anarchy. Originally a recurring cast member in Season 1, he was immediately promoted to main cast member in Season 2 since he became a fan favorite. His character, Opie, only gets back into the SAMCRO club to provide for his family, knowing the consequences. Hurst's portrayal of Opie earned him a Satellite Award for Best Actor in a Supporting Role. Hurst also voiced Jedidiah in the Box-Office hit Rango. In Sons of Anarchy Ryan Hurst plays the part of Opie Winston. Harry ‘Opie' Winston was a member of the MC known as the Sons of Anarchy. His father Piney was also a member of the club and one of the First 9. He was best friends with the club's current President, Jackson ‘Jax' Teller and just finished a 5 year prison sentence in the Chino State Penitentiary. He fathered 2 children with his recently deceased wife, Donna Winston. Like Jax, the club was in his blood, it's the only life and family he had ever known. Opie was killed in San Joaquin County Correctional Facility, after a brutal beating and fatal blow to the back of the head.